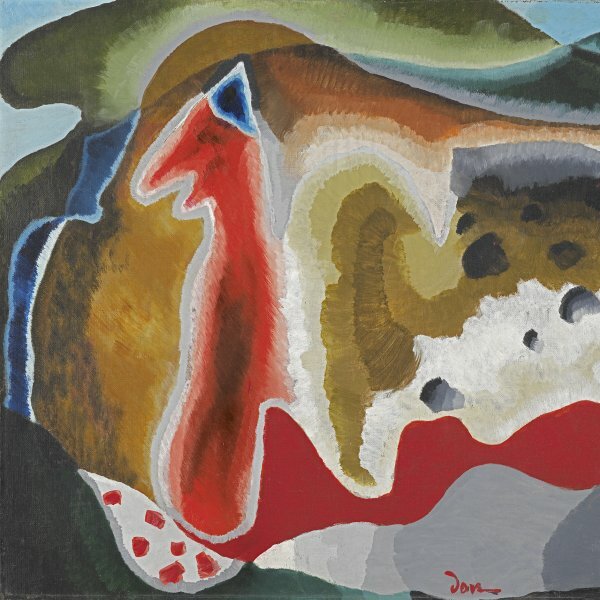 The Estate of Arthur G. Dove, courtesy Terry Dintenfass, Inc.
Arthur Dove was the first American artist to experiment with abstraction. Between 1906 and 1909 he travelled around Italy, Spain and France, where he struck up a friendship with a group of Americans residing in the French capital. Shortly after returning from Europe, in 1912 he exhibited at Alfred Stieglitz gallery in New York what were the first fully abstract paintings to be executed in America before the exhibition of the work of the European avant-garde artists at the famous Armory Show of 1913. These works combine an interest in representing abstract forms with the pursuit of capturing fleeting effects such as sound. 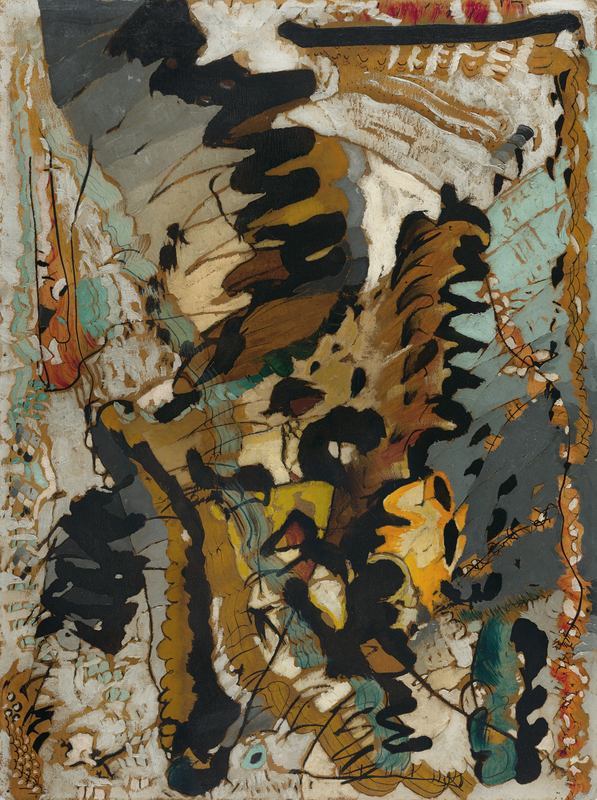 While in Europe artists such as Wassily Kandinsky sought to convey musical sounds in their abstract compositions, synesthesia spread through the Modernist circles of America, where it nonetheless acquired certain nationalistic connotations that led the artists to exalt the music characteristic of the new continent, such as jazz. The word jazz had begun to circulate at the beginning of the twentieth century and became popular in the 1920s, especially in the nightclubs and dives of Harlem. Dove also conveys this dynamism through line and colour, once again recalling Kandinsky. The artist stated this clearly in the catalogue of the exhibition in Stieglitz’s gallery at the end of 1927: “As the point moves it becomes a line, as the line moves, it becomes a plane, as the plane moves, it becomes a solid, as the solid moves, it becomes life and as life moves it becomes the present.” However, although Dove’s calligraphic style in Orange Grove in California, by Irving Berlin may evidently be linked to Kandinsky’s improvisations, his loose, vibrant brushwork and his colours are clearly intended to be a pictorial equivalent of the energetic rhythms of jazz. 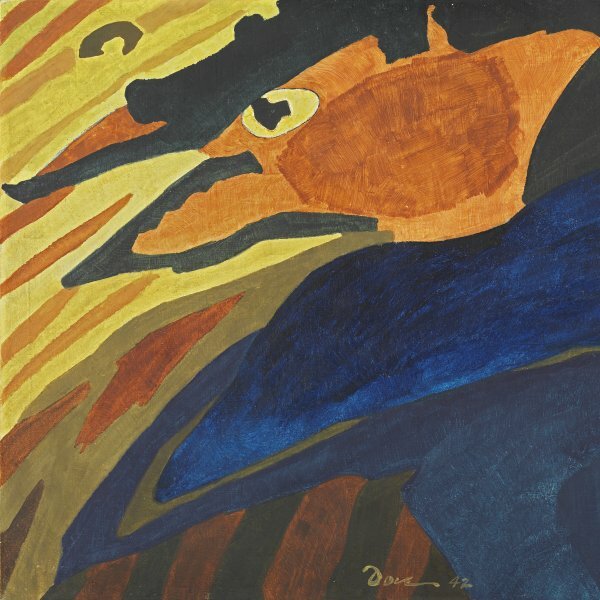 Dove reproduces the syncopated rhythms of jazz music through a series of thick zigzagging strokes of predominantly orange tones (in reference to the title) and splashes of black, with surprising spontaneity. After being shown at The Intimate Gallery in New York, at the beginning of 1928 the painting was given by Stieglitz to New York Times art critic Edward Alden Jewell, a fan of the painter’s. Jewell wrote to Dove in January 1928: “Mr. Stieglitz says you already know that he has given me your Orange Grove in California. It is a very beautiful picture, and seemed to me one of the finest things in your recent show... I want you to know how deeply I appreciate having it and how genuinely interested I am in the work you are doing.” Shortly afterwards Jewell exalted Dove’s Americanism by including Orange Grove in the frontispiece of his book on the particular features of American art.